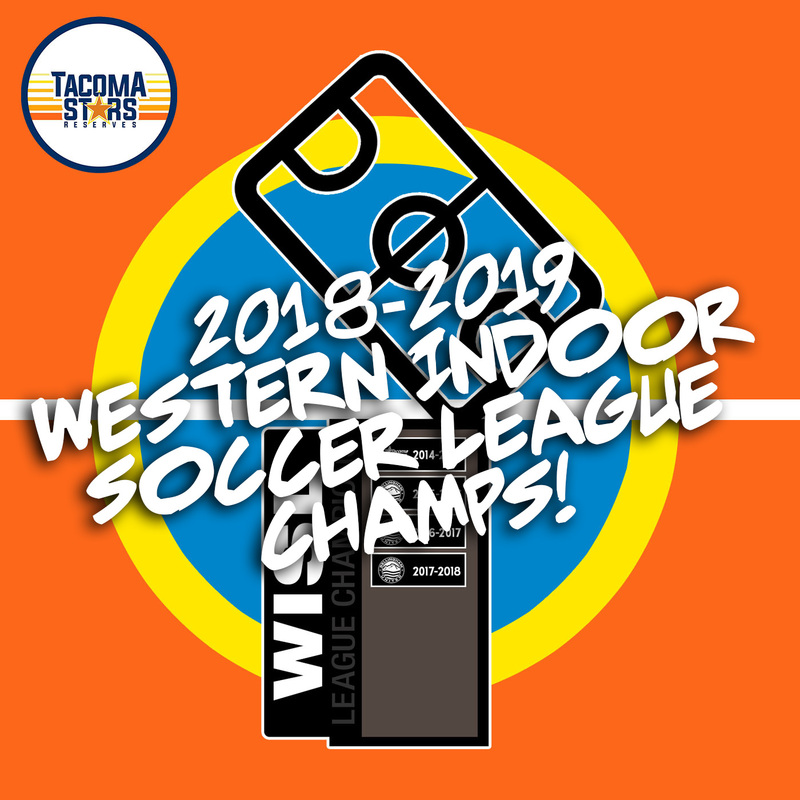 In a back-and-forth fourth quarter, the Tacoma Stars Reserves scored three times in the final 1:26 including Nate Ford’s game winning goal with 1:04 left to take the 2018-2019 Western Indoor Soccer League Championship with a 7-5 win over Bellingham United. JJ Schmeck and Adrian Correa each scored twice for the Stars Reserves, who finished the season undefeated at 12-0-0, ending Bellingham’s three-year WISL championship streak. In front of a packed house at the Tacoma Soccer Center, the first half was a defensive affair. Nick Cashmere got to a loose ball in the box and struck first to give Bellingham a 1-0 lead with 4:16 left in the first quarter. Schmeck tied the game at 1-1 with 7:58 left in the half, smashing one past United keeper Riley Liddle. After a blue card was issued to Tacoma’s Micah Wenzel and then Richard Henderson and Adrian Correa were tagged with a double blue card after a bit of a fracas, Christian Caro scored a 4-3 power play goal that gave the Hammers a 2-1 lead that would hold up until halftime. After another rough start to the third quarter that included three blue cards combined for both teams, Bellingham built a 3-1 lead when Uriel Herrera got into one with 4:09 left in the period. But again, the Stars Reserves answered and Eddie Brown was in the right place at the right time to slot one home after both teams made a mess in the box to cut the United lead down to one, 3-2, heading into the fourth quarter. An altercation during the break between the third and fourth periods resulted in the ejection of Liddle and Bellingham’s backup keeper, Ike Onyeador, was forced into action. The Stars Reserves took advantage right away, tying the game 3-3 on Schmeck’s second goal with 12:58 left. They kept pouring it on just a minute and a half later and took the lead for the first time, 4-3, when Correa streaked up the left side and got a perfect pass from Schmeck on the run. But Bellingham had the answer just a minute later when the WISL’s Golden Boot winner, Richard Henderson, scored his first and only goal of the night and tied the game 4-4. They then took the lead 5-4 when Dylan Langei gathered and scored with 8:08 left. The Hammers looked like they would salt things away when they had a three man break with just the goalkeeper to beat, but Arguello made the save of the night, pouncing on a low shot by Cashmere with just over 3:00 minutes left, keeping the game a one goal difference. And with 1:26 left, Correa tied the game taking a rebound off the wall and punching it past Onyeador. Moments later, Nate Ford took an innocent looking shot between three Bellingham defenders that hit just right of the target and then followed his own shot and buried the rebound for what would prove to be the game winner. Logan Jones scored the insurance goal against the 6th-attacker with 46 seconds left and Tacoma took home their first title as the Stars Reserves with a 7-5 victory. It is the second WISL title for Tacoma. The Tacoma Stars won the championship in 2015, capping off the league’s inaugural season. But it was three straight championships for Bellingham United between 2016 and 2018, all on their home field at the Bellingham Sportsplex. The Tacoma Soccer Center continues to be the Hammers’ kryptonite. They are now 0-7-0 against the Stars/Stars Reserves in the regular season and playoffs in Tacoma. 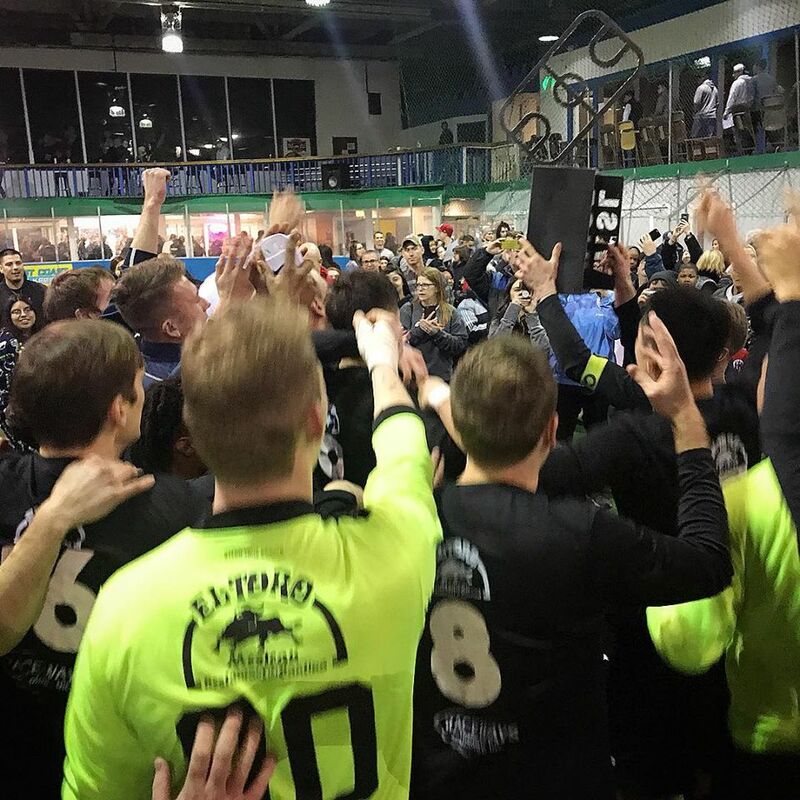 ← WISL Finals Preview: An Undefeated Season Or A Four-Peat?